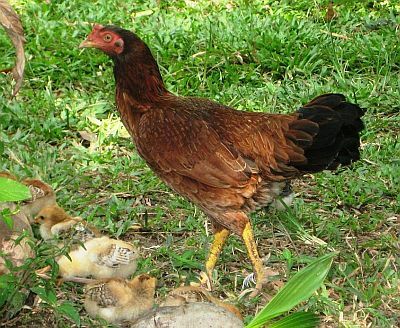 Researchers in Malaysia have identified three new strains of bacteria that show good potential as probiotics for poultry production. Selangor, Malaysia, June 27, 2014 - (ACN Newswire) - In a study published in the Pertanika Journal of Tropical Agricultural Science, the research team reported that all three strains - which belong to the species Lactobacillus salivarius - would probably be able to survive and colonize the gastrointestinal (GI) tract of chickens: they exhibited good tolerance to acid, bile and pancreatic enzymes as well as a strong ability to adhere to the intestinal wall. For more than 50 years, antibiotics have been routinely used to prevent or control poultry diseases and to promote growth and feed efficiency. But due to the emergence of antibiotic-resistant bacteria, Europe has banned the use of antibiotics as growth promoters for poultry production while some countries, such as the United States, are considering a ban. As a result, there is growing interest in developing alternatives, such as probiotics - defined as live microbial feed supplements that beneficially affect a host animal by improving its intestinal balance. However, many potential probiotic products have been marketed without proper studies, giving rise to problems of inconsistent efficacy. In 2001, the Food and Agriculture Organization and World Health Organization issued guidelines for evaluating probiotics in food which recommended that every potential probiotic strain must be correctly identified and tested for safety and efficacy. With a long history of use as probiotics in the food industry, Lactobacillus bacteria are "generally recognized as safe". They are commonly found in the environment as well as the normal microflora of the GI tract of animals. In this study, Y. W. Ho and colleagues at the Universiti Putra Malaysia and the Universiti Teknologi MARA isolated, identified and assessed Lactobacillus strains from chicken intestines, with a view to selecting potential probiotics. Out of 42 isolated strains, three Lactobacillus salivarius strains demonstrated a high tolerance of stress conditions in the GI tract and a good capacity to adhere to intestinal epithelial cells. The authors recommend that further studies be undertaken to evaluate the efficacy of these strains in host animals.